Professor Donald A. Grinde, Jr., Chair and Professor of American Studies at the State University of New York at Buffalo, is a Yamasee Indian. He is a longstanding member of the American Indian Movement. 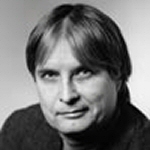 Professor Grinde has published over ten books and fifty articles since the early 1970s. He has received publication commissions from the U.S. Congress and served on an advisory board of 8 historians to plan the 200th anniversary of the Library of Congress. He has also given published testimony before the Senate Select Committee on Indian Affairs. Professor Grinde specializes in Iroquois history and the history of Native American Thought. He is married to Kari J. Winter, Associate Professor of English, State University of New York at Buffalo and has three sons, Drew, Kee, and Zane.